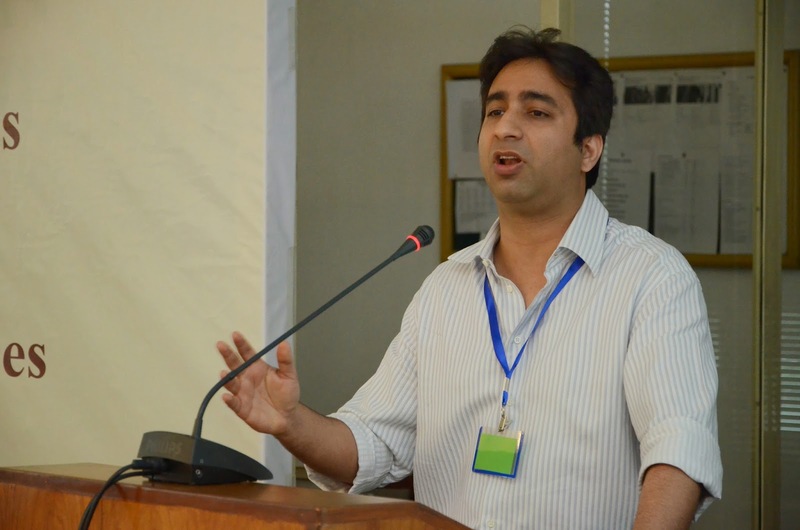 Amidst distinguished mathematicians, physicists, statisticians and academicians from all over Pakistan, the Lahore School of Economics hosted atwo day Mathematics conference titled Lahore School conference on Recent Advances in Mathematical Methods, Models and Applications (RAMMMA ) concluded on April 20, 2014. 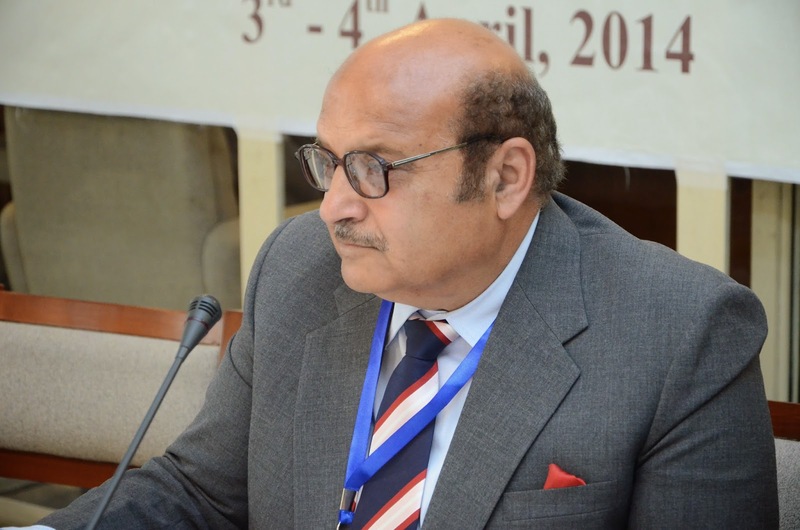 On the first day (April 19, 2014) Dr Shahid Amjad Chaudhry, Rector, Lahore School of Economics, inaugurated the Conference by welcoming all the speakers and guests, with Dr Rana Abdul Wajid, Professor and Director, Centre for Mathematics and Statistical Sciences, Lahore School of Economics delivering the keynote address focused on the aims and objectives of the RAMMMA conference. 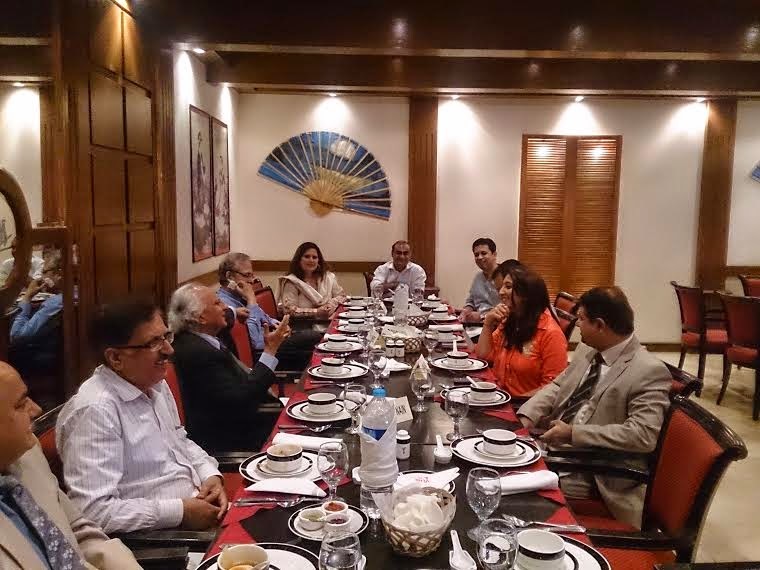 Lahore School of Economics invited alumni Associations of Entrepreneurs and Professionals and entrepreneurs Telecom/IT to a lunch with the Rector Lahore School and share their thoughts and experiences. Prominent alumni including Badar Khushnood (Class of 1997) Country Consultant for Google and Fatima Said CEO, ABACUS Consulting (Class of 1995) also participated in this lunch. 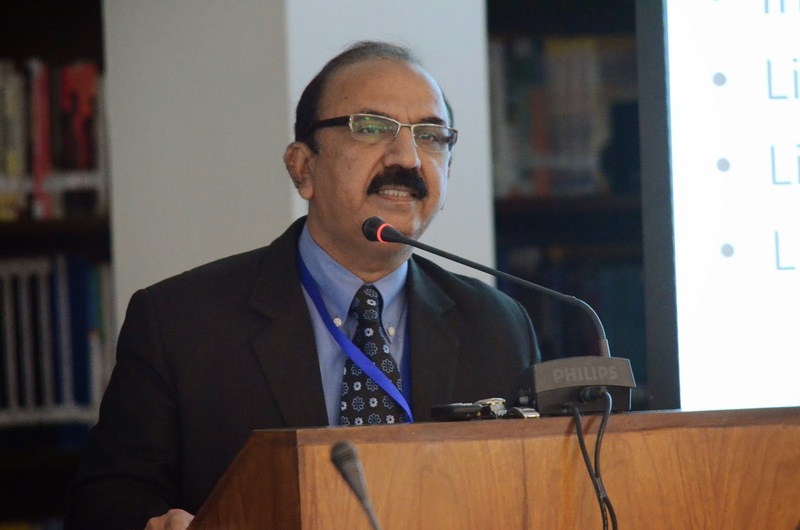 Dr. Shahid Amjad Chaudhry welcomed the guests and appreciated their commitment to the Lahore School. 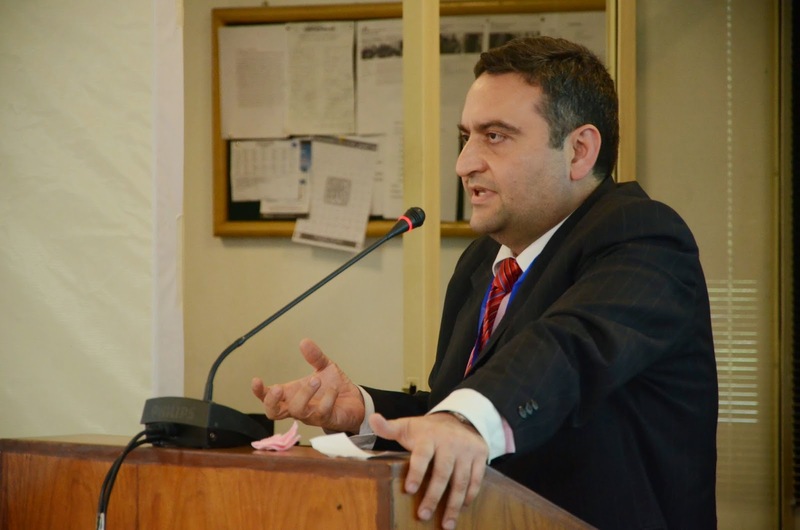 He briefed the guests on growth that the Lahore School had undergone in the past few years. The Rector explained how Lahore School of Economics from a single building had grown to a purpose built campus, funded entirely with its own resources. He also informed the guests that Lahore School of Economics had recently become a part of the Global Business School Network. He added that the school would also accredit itself with Pakistan’s National Business Education Accreditation Council soon. 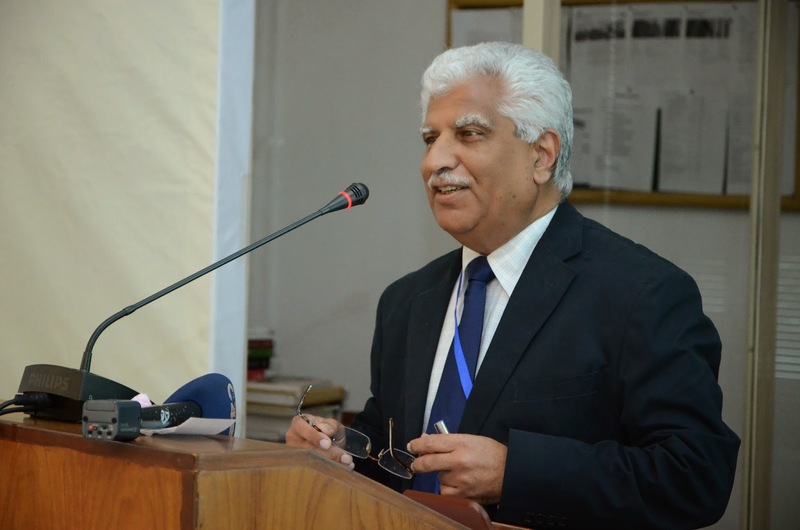 Dr. Chaudhry said that this accreditation would help Lahore School in creating ventures with foreign universities for research and development. He also informed about the privileges and facilities Lahore School was offering to its Alumni free of cost. Lahore School of Economics Second Annual Business Research Conference is being held on May 30 -31, 2014 at the main campus. The conference will be organized in collaboration with CFA Society Pakistan, Institute of Chartered Accountants of Pakistan (ICAP), JCR-VIS Credit Rating Company Limited and Management Association of Pakistan (MAP). The purpose of this conference is to provide a specialized forum for dissemination of qualitative and quantitative research with the aim of bridging the gap between academics and business practices. Given the dynamic nature of the business environment in today's world, research is of immense importance. Hence, we encourage the development and discussion of innovative ideas pertaining to key business issues in Pakistan. Researchers, policy makers, analysts and practitioners are invited to submit competitive theoretical and empirical papers as well as technical notes that explore and contribute to the understanding of various areas in business. Deadline for the submission of title and short abstract (not more than 350 words): April 20, 2014. Submission date for complete papers: May 1, 2014. 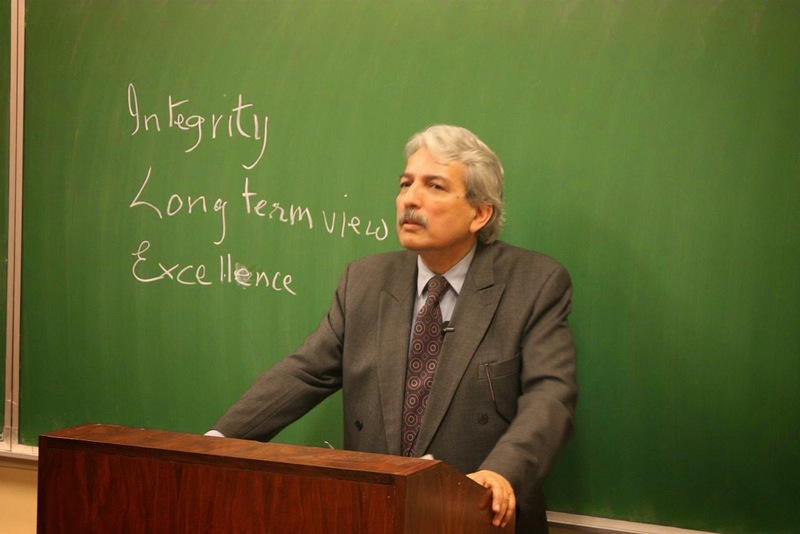 Mr. Hamid Zaman, Managing Director- SEFAM, visited the Lahore School of Economics, on Friday, March 28, 2014, to deliver a lecture to the graduating class of BBA (Hons) studying the course of SME and Entrepreneurship. After a brief introduction of his company SEFAM and the businesses that come under it, which includes big names like Bareeze, Leisure club and Chinyere to name a few, Mr. Zaman enlightened the audience e with his very interesting success story. 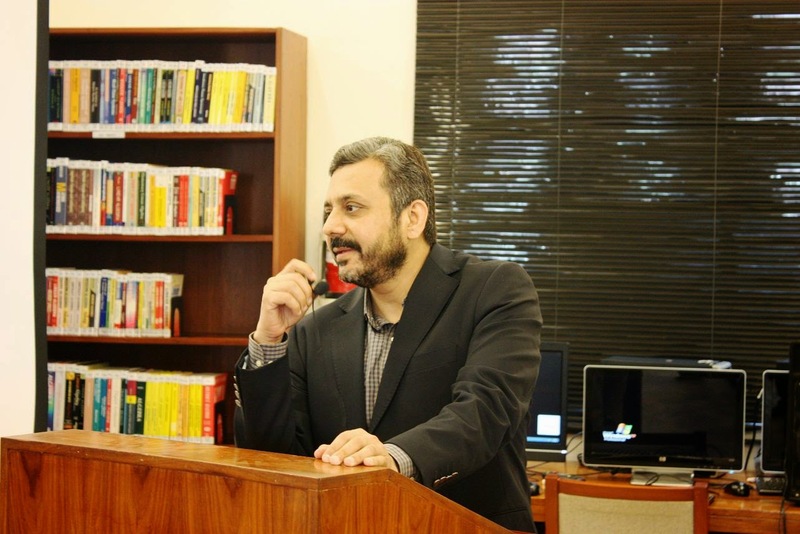 On Friday, March 28, 2014, Mr. Attique Malik, Head of Supply Chain at Pepsi Co, was invited to the Lahore School of Economics, under the Distinguished Professional Lectures Series Programme to deliver a lecture to the graduating BBA (Hons) class studying Supply Chain Management. What is supply chain? Mr. Malik explained all five elements of supply chain; plan, source, make, deliver and return. He then explained the supply chain flow chart. The important attributes of supply chain he discussed were reliability, responsiveness, flexibility, asset management and cost reduction and flow efficiency. 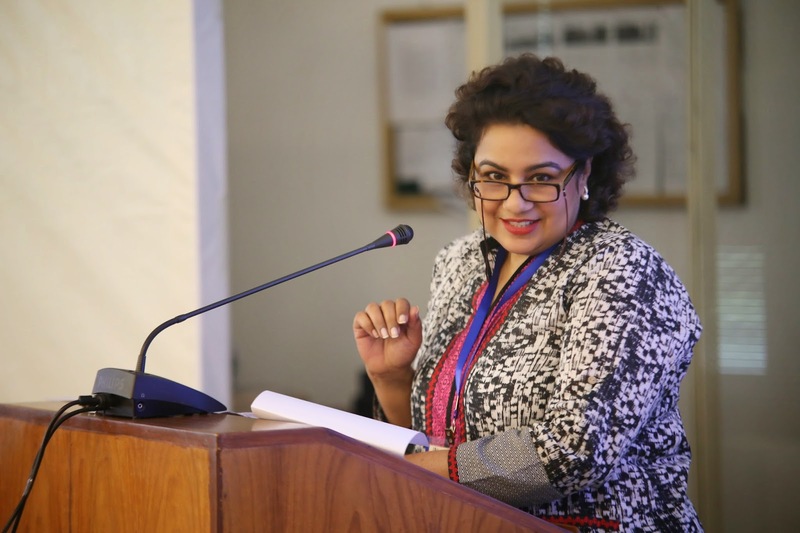 The Lahore School of Economics, which recently launched Executive Education Programs for both the private and public sectors in Pakistan, delivered another successful two-day program for the senior management of Beaconhouse on March 31-April 1, 2014. The "Excellence in Marketing" program for Beaconhouse, focused on Creating Value, Communicating Value, Pricing and Forecasting of Demand. The cases and discussions included survey methodology, perceptual mapping, demand forecasting, segmenting, targeting and positioning and branding. The participants had to design and cost products and work on the problem of cannibalization of one brand by another. In another session, they did exercises on calculating the optimal prices in services industries, working with actual data. 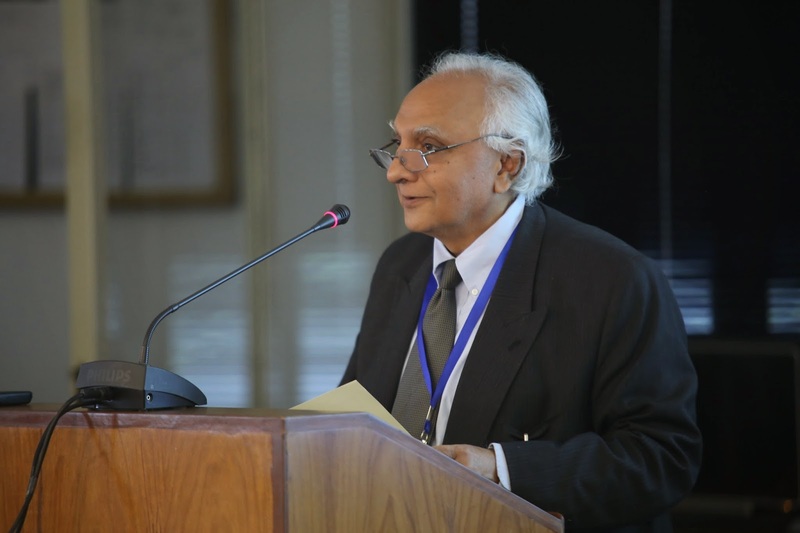 The Second Lahore School of Economics Annual Conference on Social Sciences concluded on April 4, 2014. Renowned scholars, academician and researchers took part in the conference. 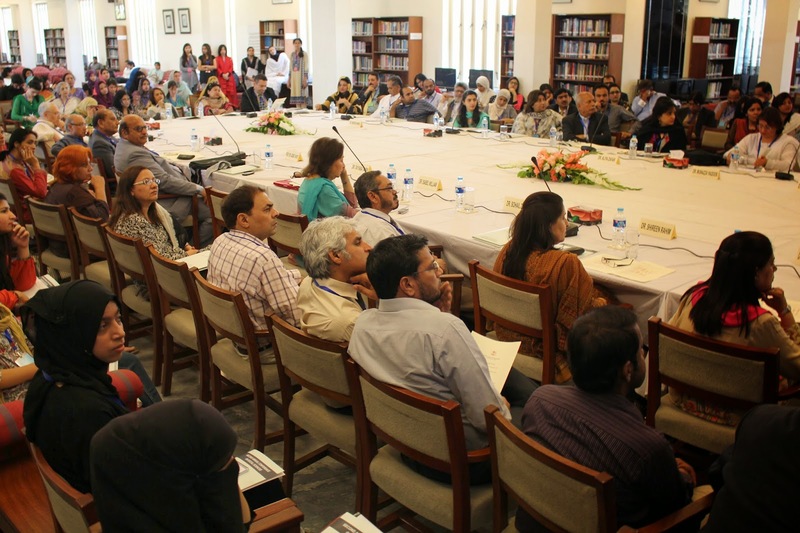 The first day of the conference [April 3, 2014] focused on 'Language and Literature in South Asia: Perceptions, Practices, and Possibilities.' 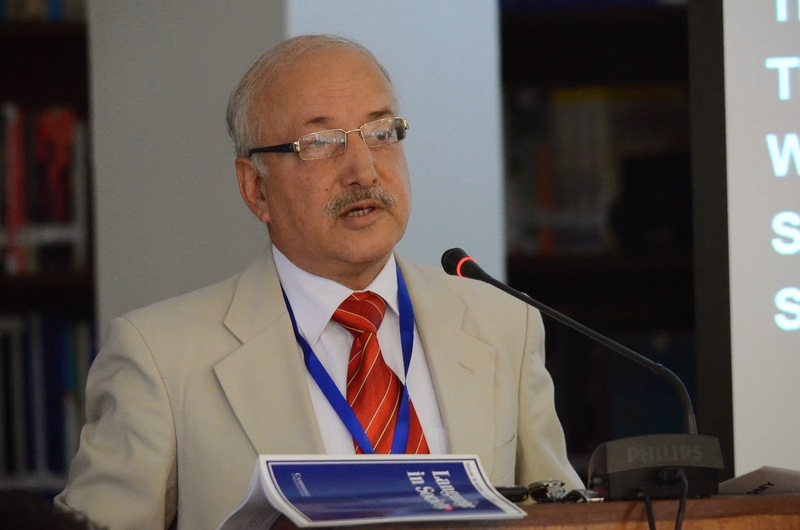 The conference began with the opening remarks by Dr. Shahid Amjad Chaudhry, Rector of Lahore School of Economics. 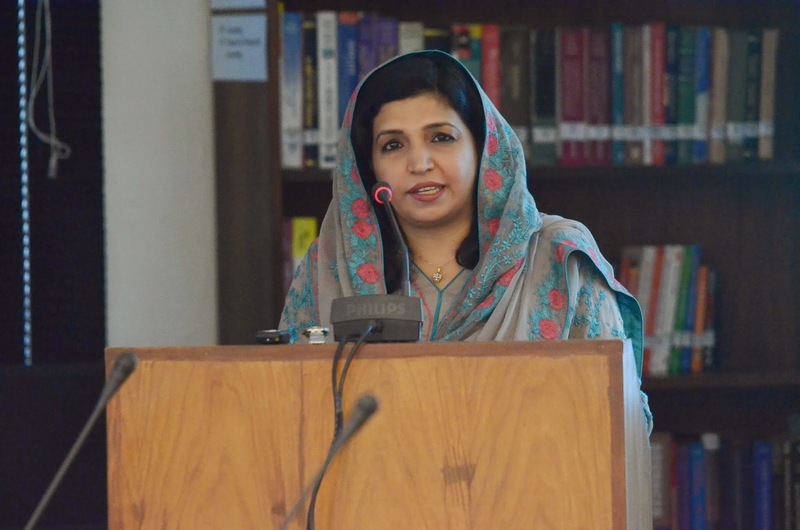 Session 1 was chaired by Dr. Sabiha Mansoor, the Vice Chancellor of LCWU. 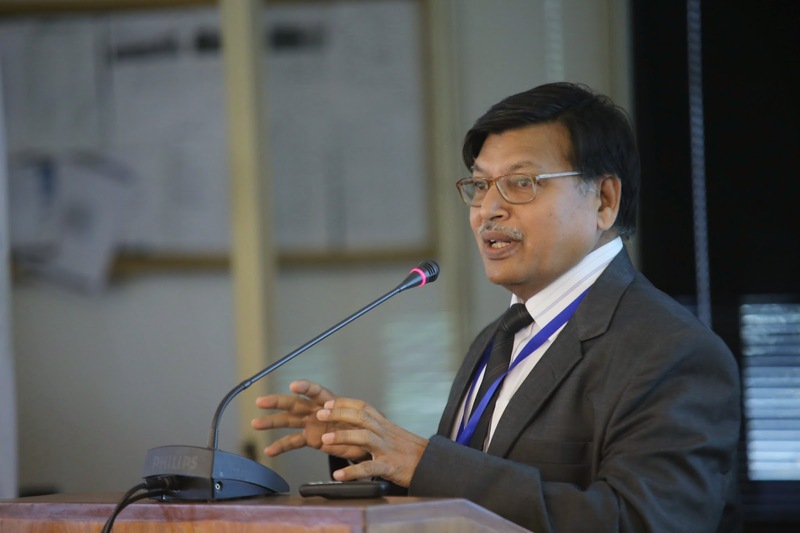 During this session, Dr. Tariq Rahman, Dean, School of Education, BNU, Lahore, examined the commodification of English in the Call Centres of Pakistan. 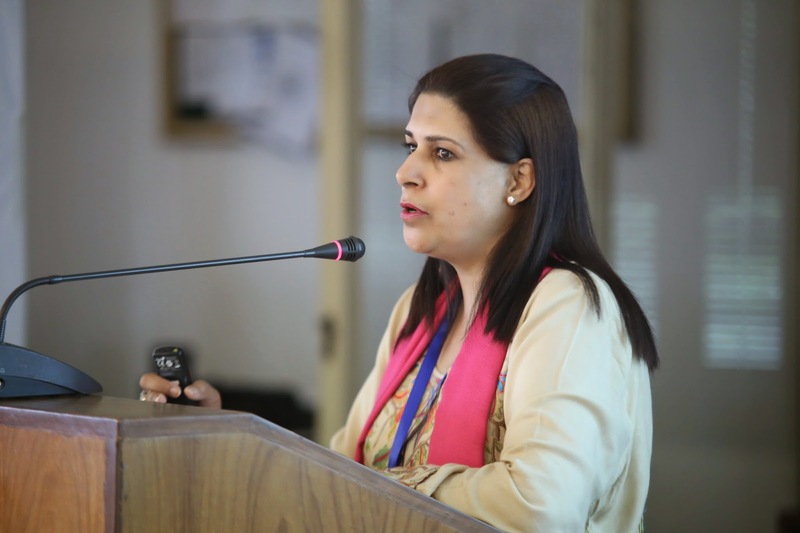 Dr. Saiqa Imtiaz Asif, Chairperson, Department of English and Director, English Language Center, BZU, Multan presented her paper on the major causes of desertion of Seraiki language. 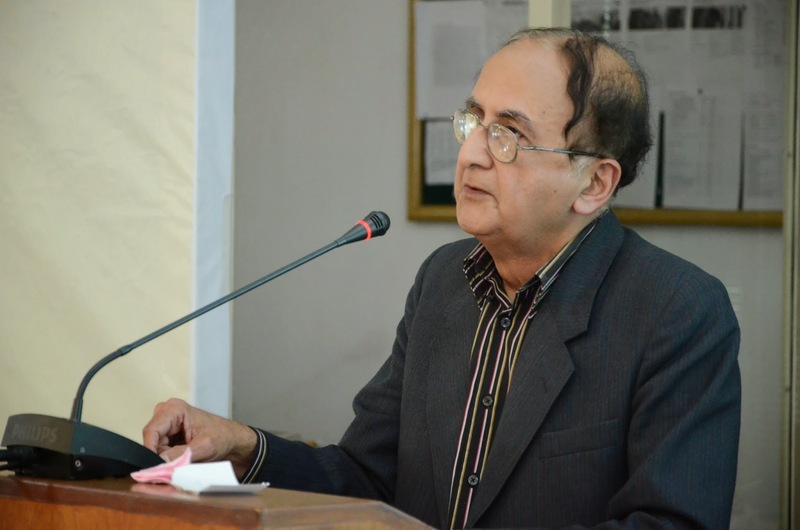 Dr. Shahid Siddiqui Head and Professor, Department of Social Sciences, Lahore School of Economics presented his paper on reclaiming the silenced voice of women in Urdu literature. 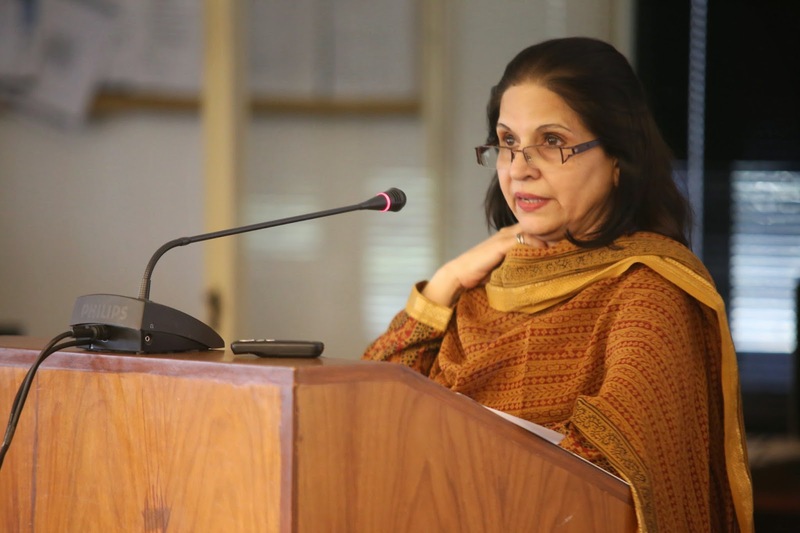 Dr. Amra Raza, Chairperson, Department of English Language and Literature, University of the Punjab, Lahore discussed the reworking of myths by Pakistani poets writing in English. The nuclear security relations between India-Pakistan are generally studied through traditional realist theories of state power. These theories are mostly interested in explaining rational motives behind states decisions to go nuclear and often give little credit to issues of state identity and norms behind such decisions of pristine importance. Treading on a different path this paper studies the nuclear rivalry between India and Pakistan by a social constructivist analysis based on socio-cultural norms of state identity. This social constructivist approach explains the strategic behavior of states by problematizing states identities and brings to light some socio-cultural norms which led to such decisions in the first place. Four major sets of factors influence civil-military relations, including military take-over in a country. External environment is one of the factors. The experience of a large number of countries that have experienced expanded role of the military shows that the decisive factors are internal and domestic. External factor may encourage or discourage a particular kind of disposition of the military. This may help the military to take over or deter it from doing so. Much depends on how other factors impact the context within which civilian authorities and military top brass function. The Geo-strategic location of Pakistan is such that it makes it an important and vital corridor, not only to the mineral resources of the Caspian Sea and Central Asian Republics, but also a major focal point in the politics of the Middle East. It’s a meeting of cultures Iranian, and Chinese culture, Indian culture and Central Asian Culture, meet the Arab culture. After the 9/11 incident, the world focus shifted to Central Asia, or Central Eurasia as it is now known, and the easiest and shortest access, to it is through Pakistan. With all these events taking place around it, Pakistan has gained an important role to play in this region, due to its geographic location. Pakistan could have gained much from its geographic position but it could not do so in all these years. Pakistan could not organize a political party which could cater to the needs of all the four provinces, or could represent the whole nation. 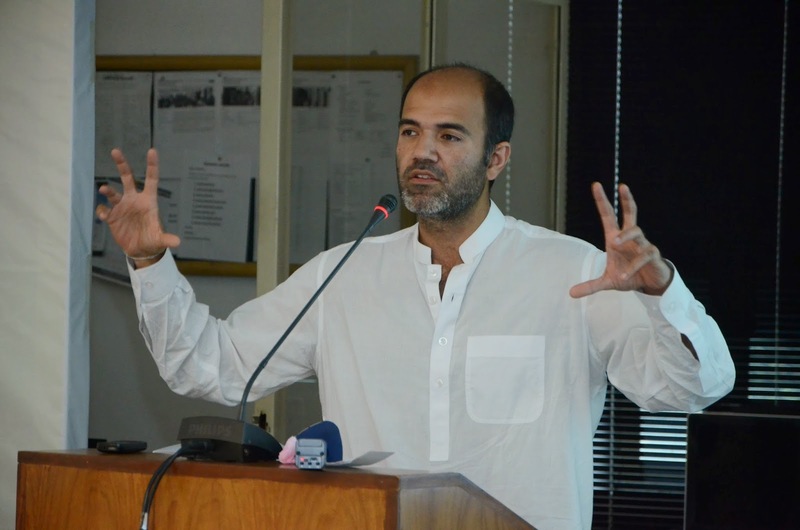 The author argues that provincial autonomy and path dependence are among the dominant factors that have shaped the latest Local Government (LG) acts recently enacted by the provincial assemblies of Balochistan, Khyber Pakhtunkhwa, Punjab and Sindh. Yet, the LG acts of 2013 are distinguished by the fact that these are imposed neither by a military regime nor by the federal government; these have been drafted and adopted by the provincial assemblies after much debate and with a sense of ownership. The previous local governments suffered from legitimacy crisis and lack of ownership. The LG acts recently passed by the provincial assemblies are fragmented and driven by considerations of maintaining the status quo, rather than seeking to innovate and think out of the box for establishing transparent and accountable governance. Mainstream scholarly analyses of the Pakistani state regularly emphasize its ‘failure’ and even its ‘rogue’ character. Meanwhile journalistic depictions and discussions in liberals’ drawing-rooms within the country focus on the increasing weakness of the state vis a vis ‘non-state’ actors. In all such accounts there is almost no recognition of the sociological bases of state power, and in particular the extent to which the dominant social order is in fact being strengthened or weakened by contemporary political developments, including (but not limited to) the intensification of millenarian violence. Was Pakistan meant to be a Muslim-majority national state or an Islamic state? This overarching question captures the spectrum along which different models of the state have been presented in Pakistani discussions since its inception in August 1947. Most states in the modern period, including those of Africa and Asia that emerged after WW II, are pragmatic in their orientation but Pakistan , Iran, Saudi Arabia, Israel, North Korea are ideological states. Ideological states invariably distinguish between the primary nation and others and adopt constitutionally differentiated citizenship as the basis for the distribution of rights. The paper argues that the class structure of Pakistan is characterized by Asiatic capitalism, with the non-agricultural sector of the economy dominated by petty commodity production and small-scale capitalism. This has implications for the country’s politics, society, and culture. Pedagogy is at the heart of teaching and learning process which is influenced by a number of factors. It has been widely proved that an interesting yet multifaceted relationship exists between pedagogy and the beliefs/perspectives, competence/educational level and practices of teachers as they play a significant role in the construction and reconstruction of pedagogical practices which, ultimately, guide the decisions and actions of teachers in the classroom. Caste has been a much ignored but salient feature of the social structures in several parts of rural Pakistan. However, there has been little research to understand how this intersects with the perceived educational opportunity for the dominated low castes. 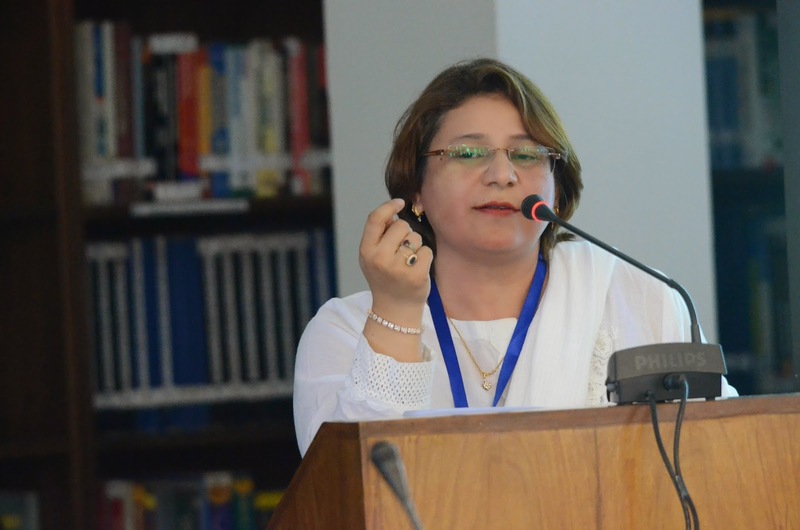 This paper reports some key findings emerging from a funded study carried out in collaboration with the World Bank and Lahore School of Economics in two villages located in the South and Centre of Punjab, the largest province in Pakistan. The data was collected through multiple case study design and a qualitative approach. There is an increase in the population of linguistically diverse students in United States schools. Research shows teachers feel they were insufficiently prepared to teach diverse learners. There is a need to prepare English for Speakers of Other Languages (ESOL) teachers to meet the academic needs of English Language Learners (ELLs) effectively and address their underachievement. Existing literature on professional development (PD) of teachers points to insufficient research that links PD to student learning. Scholars suggest a shift in PD from imparting knowledge for teachers and "training" them to enhancing authentic professional learning. Furthermore, there is limited literature on the effects of practitioner inquiry on the PD of ESOL teachers, and little is known about teachers' inquiry studies with ELLs. Therefore, this qualitative study explores how practitioner inquiry influences teachers’ perspectives and practices related to ELLs. This paper unfolds my journey of discovery of how alternative and creative pedagogies in English Language Education can be introduced, fostered and celebrated. 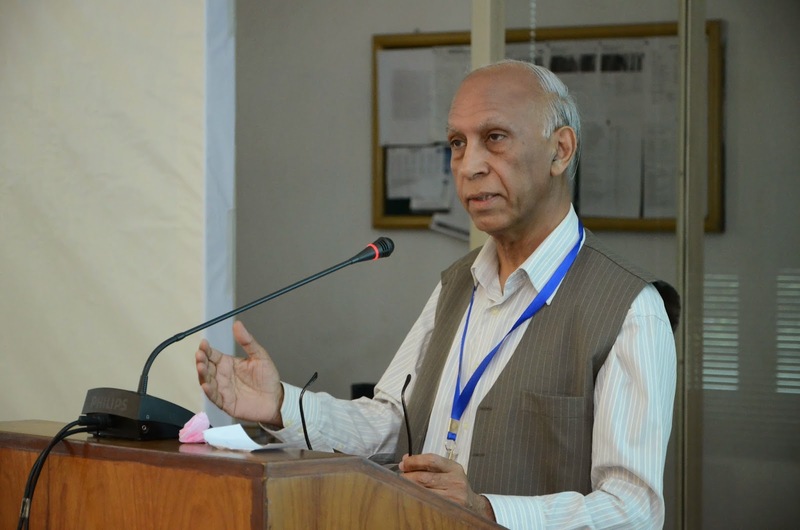 It discusses alternative and creative pedagogies that I have initiated in English Language Education in English Specialization courses at Aga Khan University, Institute for Educational Development, Karachi. Then it raises certain questions regarding the use of these pedagogies. Why use these pedagogies? What are the challenges? What is there for the Course Participants? What is there for me? How do they fit in with the course requirements? Are alternative assignments in line with the course policy? How do they fit into my research interest? What are the ethical implications? These are the questions that this research aims to answer. Code switching, use of two languages in one speech event, is a natural phenomenon in multilingual and bilingual societies. This practice is common in Pakistani society as well – people speak in two or more than two languages in service encounters, social encounters, in radio programmes, on television talk shows and so forth. All the people with competence in two or three languages make use of these languages whenever and wherever they interact with other people. The same bilingual practices are carried over to educational settings despite the fact that most educational institutions (at primary, secondary and especially at the tertiary level) do not encourage code switching in classrooms. The paper attempts to make a case for the significance of ecological perspectives in the study, interpretation and teaching of literary texts. Towards this end, it draws on ecocriticism as a theoretical framework in which the dominant focus is the study of the relationship between literature and the natural environment, and reviews the emergent critical trends in this regard, during the last four decades. This consideration is further elaborated by ecocritical readings of selected contemporary texts, across different literary genres. A detailed thematic and stylistic appraisal emphasizes that such texts lend themselves potentially to an ecological - revitalizing and regenerative - function in the cultural system, where the environment has itself become a broad and urgent concern for most readers, researchers, scholars and policy makers. The paper attempts to explore the proscriptive norms in Aravind Adiga’s novel The White Tiger (Indian). The objective is to critique the evolution of an entrepreneurial self as a post-post colonial/south Asian identity. The storyline may seem simple and the narrative straight forward yet the apparent simplicity of the protagonist’s curriculum vitae entails much broader issues of identification and cultural certification. It streamlines the “need” for “Self Actualization” by scaling up Maslow’s hierarchy of needs. Analyzed against the theories of eco cultural and social linguistics, the text lends itself to an eclectic approach. The analysis endorses the finding that in South Asian cultural context identities are sanctified by dual predisposition: self standards and market mechanisms, determined by ecological position (in terms of exploitation, penetration, fragmentation, and marginalization). Tich Naht Hanh’s philosophy of compassion which he terms as ‘interbeing’ is an attempt to foster a culture of peace and non-violence in the human world. His fourteen precepts of engaged Buddhism given in his Interbeing: fourteen guidelines for engaged Buddhism lay emphasis on recognizing ‘others’ as people and dismantling the barriers and boundaries erected by one’s adherence to one’s ideology and viewpoints. This process of recognition of ‘other’ also involves compassionate dialogue with those who are different from us in terms of class, gender, belief and ideology, and sharing the resources with them if they are in need. This philosophy strongly recommends taking care of those who are suffering due to marginalization based on ethnic, racial, gender or class differences. It teaches mindfulness and compassion by promoting the idea that all that exists in the universe, i.e., human and non-human life is interdependent and their existence is conditioned by this interdependence. Mythical Space as opposed to physical space is extremely fertile and capable of unifying diverse elements. It is also self reflexive. Its creation and evolution becomes a quest to find the meaning of existence and man’s place in the cosmos. This paper examines how Pakistani poets, in particular Alamgir Hashmi and Zulfiqar Ghose, writing in English draw on mythical space as a frame of reference and apply complex techniques such as adept incisions and replacements, miniaturizing, elastic expansion, spatio-temporal manipulation, subversion and the use of literary devices in order to effect appropriation and contemporanizing. This process leads to a reframing of selected Greek myths (related to Orpheus and Eurydice, Ulysses’ encounter with the Sirens, Penelope, Agamemnon and Iphigenia) in which Homer’s position as omniscient narrator is challenged and the Pakistani poet’s predicament of writing in English are explored. Knowledge and power are interlinked in a complex manner as power constructs, validates, and perpetuates certain kind of knowledge that in return justifies the acts of power and serves as a tool of hegemony (Gramsci, Foucault). Historically the dominant groups of a society offer their version of knowledge as standard knowledge which reflects their experiences and promotes their worldview. The voice of marginalized groups in a society is suppressed as their version of knowledge is denied its space in the main stream knowledge channels. Literature is a genre of knowledge which is subtle, entertaining, and effective. Siraiki, the language of millions of people is slowly losing ground to officially recognized and promoted languages, Urdu and English in home domain. A large number of parents living in urban Multan are deserting Siraiki and are not transmitting it to their children. This paper aims to elaborate shame as an important factor in ‘Language Desertion’. The paper will examine the role of English medium schools in Multan which are serving as active agents in the promotion of the “Linguistic cringe” of the Siraikis. With the help of data collected in the form of interviews the paper will demonstrate that in these schools the Siraiki speaking students face constant dismissals, inequalities and put-downs. This article looks at accent as linguistic capital in the call centres of Pakistan. The value is added by a process called ‘neutralization of accent’ which means substituting some Pakistani features of the accent by American or British ones. The workers who learn this ‘native’ (American or British) accent talk to American and British English-speakers on the phone trying to pass as Native speakers of English. The call centres create a virtual reality in which the language, accent, names, locations and identities of the hegemonic centre (America) are invested with value which is exchanged for money. Workers of call centres appear to be the agents of the globalizing discourses which are associated with the expansion of the free market and American cultural practices. However, they do not constitute such a sizable group as to be able to pioneer any significant change in the cultural and linguistic habits of the rest of the Pakistani elite. 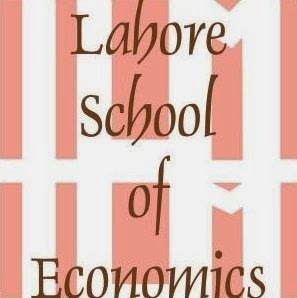 Lahore School of Economics has joined GBSN in March 2014. GBSN works with a network of over 60 world-class business schools on six continents to build management education capacity for the developing world through cross-border networking, knowledge sharing and capacity building programs to strengthen local business education. Members will have the opportunity to participate in GBSN’s robust network, share knowledge and perspectives with peers around the world, and engage in capacity building programs. The vision of the Lahore School of Economics is to become a leading internationally recognized teaching and research university to create and disseminate knowledge, which contributes to making Pakistan and the world a better place. Students at the Lahore School of Economics pursue undergraduate and graduate degrees, including BA MBA, EMBA, MPHIL, and PhD programs. 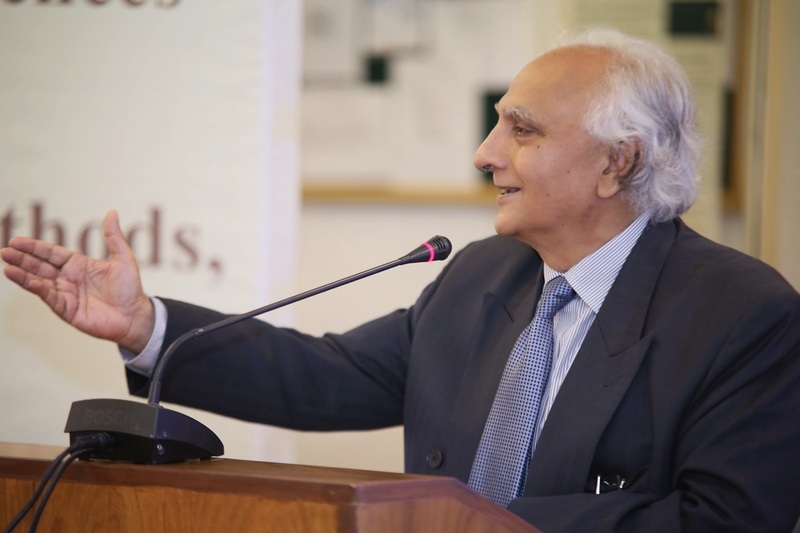 The Lahore School of Economics also hosts regular conferences in the areas of business and economics.